Ne, aš niekur nedingau, tik žiema man šį labai ilga ir liūdna. Nors dabar už lango labai gražiai sninga, bet jau labai labai noriu saulės, šilumos ir ilgų šviesių dienų. I’m still here and not totally gone. Just feeling lack of inspiration. It seems that this winter is longer than ever. Although it’s snowing beautifully right now but I’m longing for more sunny and warm days so much. 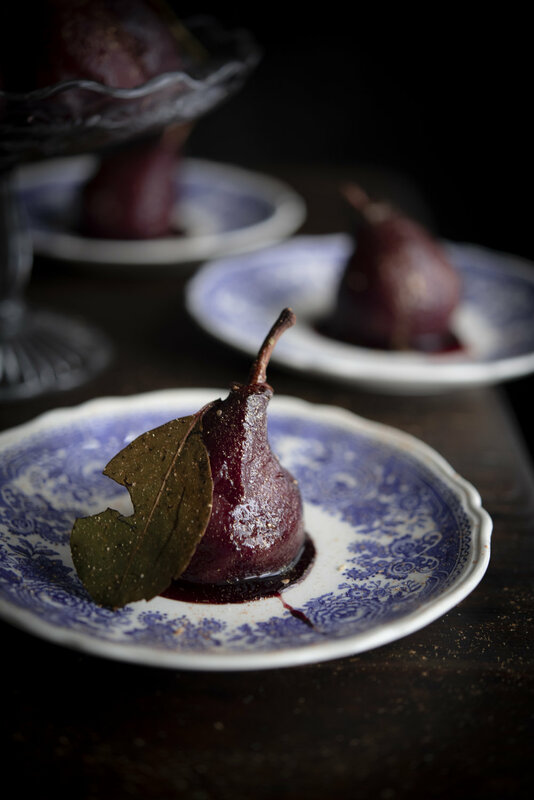 Below you’ll find the recipe for red wine poached pears. I've made them for New Years eve dinner. It was in a while ago, I know. But let’s say it was for Chinese New Year that started just two days ago. Sirupą supilkite į nedidelį puodą ir užvirkite. Virkite ant silpnos kaitros, kol jo tūris sumažės per pusę ir sutirštės. Sirupą atvėsinkite. Patiekite kriaušes su sirupu, plakta grietinėle ar vaniliniais ledais. 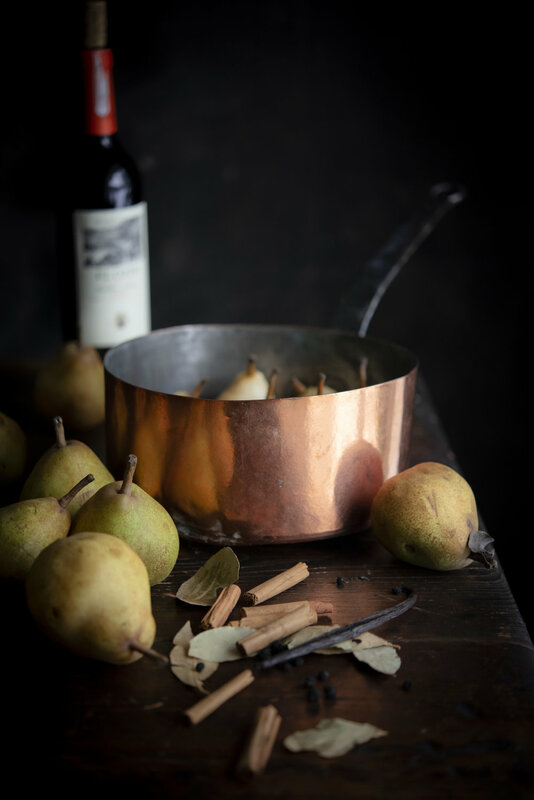 Heat wine, sugar, vanilla pod, cinnamon sticks, peppers and bay leaves. 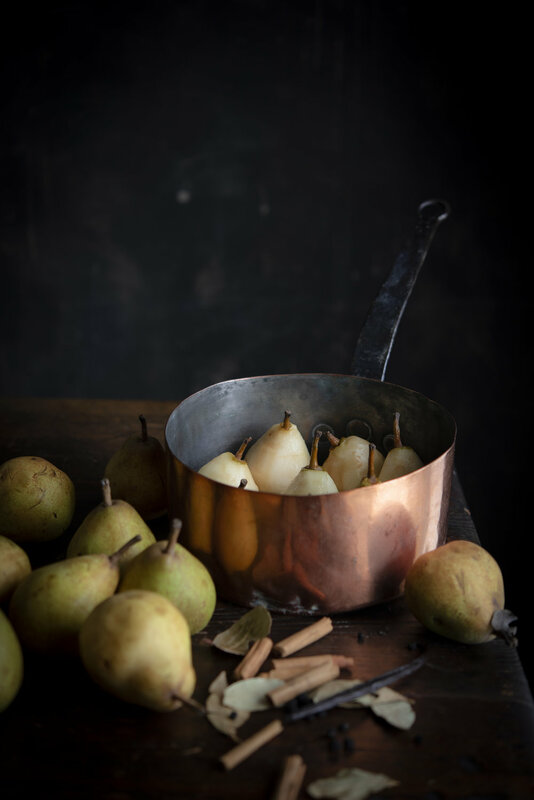 When sugar dissolves place pears in the pot. Simmer gently for 30 minutes, turning occasionally. 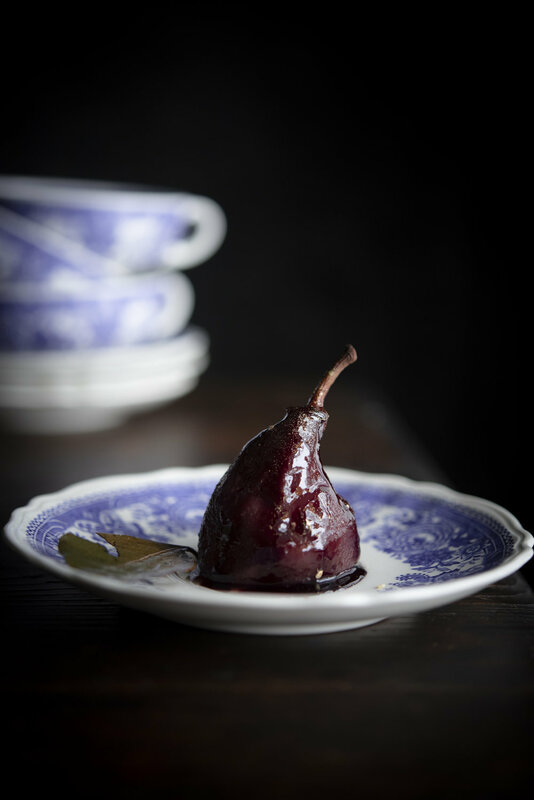 Cool pears in a syrup. Then cover and place them into fridge for at least 24 hours or up to 3 days. Turning occasionally so that they colour evenly. 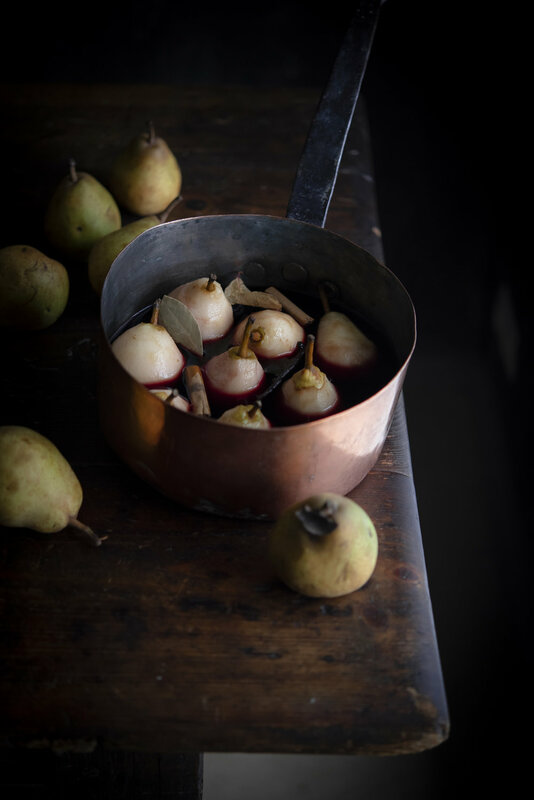 Pour the syrup into a small saucepan and bring to a boil. 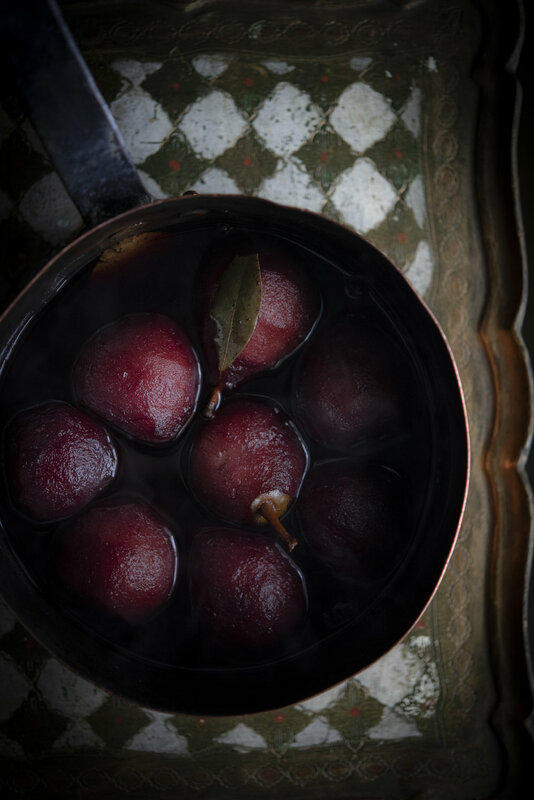 Reduce the heat to a medium law and let it boil until syrup thicken and its amount reduce in a half. Let the syrup to cool to room temperature. 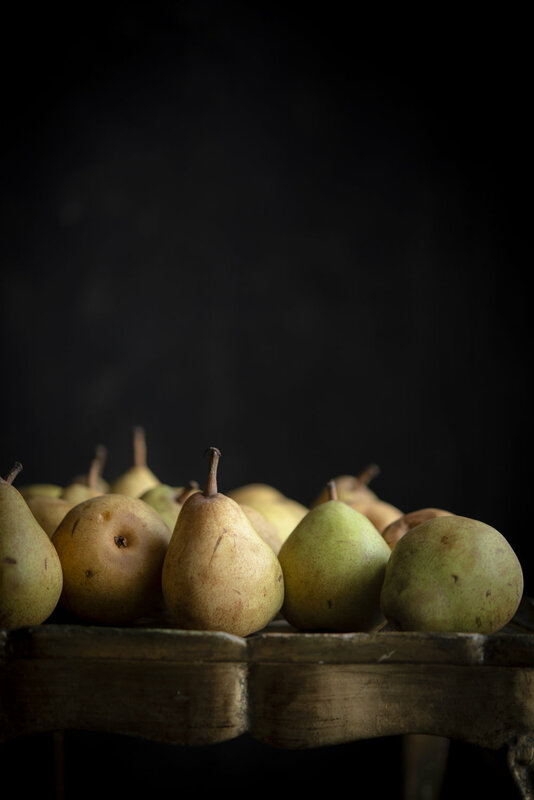 Serve poached pears with syrup, whipped cream or vanilla ice cream.